Going back a few months I can honestly say how difficult we found it locating hiking shoes or boots for Jesse. 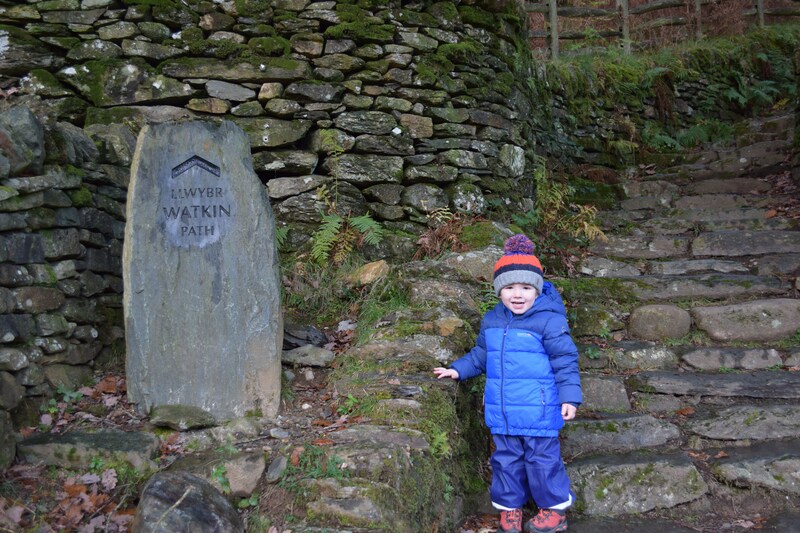 I’ve said before, it’s almost as if there’s an assumption among many brands that toddlers don’t hike, climb or paddle. They do and they love it! 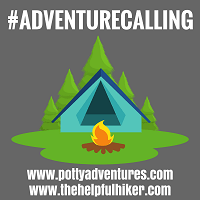 Through our #pottyadventures Instagram community I’ve been inspired by the sheer number of kids outdoors, doing amazing things and exploring amazing places. So just why more brands don’t offer genuine outdoor footwear for little kids is beyond me. 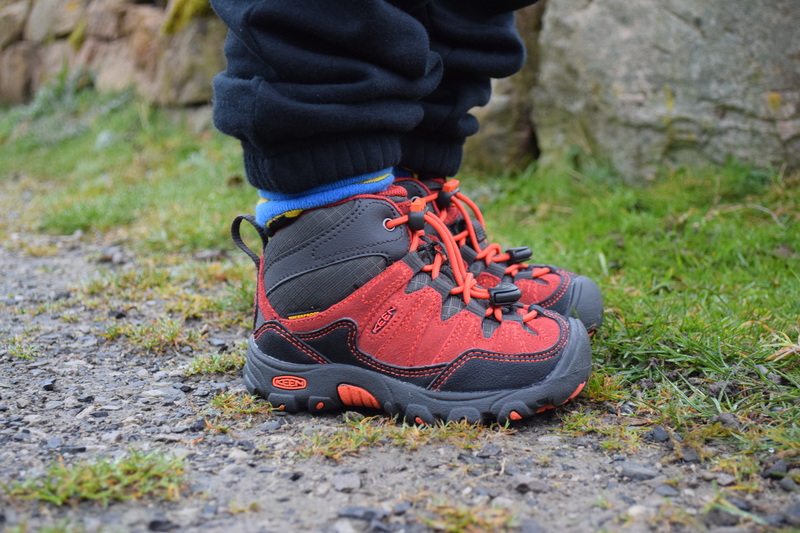 We’ve extolled the virtues of Keen’s footwear previously on the blog, and with good reason. Their summer Newport H2 sandals are a great option for little adventurers who want to explore hills, forests and steams in the warmer months. However, as autumn has well and truly arrived in our little corner of the world, we needed something suitable for the many wet, muddy and cold adventures that we’d be having over the next few months. Step forward the Keen Pagosa WP Mid. From the moment we got the Pagosa WP Mid out of the box we were impressed. This is a substantial boot! The uppers are a mixture of waterproof leather and nylon. This is a great combination as it keeps the weight down, assisting young walkers, but ensures there’s adequate protection from the elements. Moreover, the nylon is lined with a waterproof, breathable membrane meaning that, even on downpour days, it’ll keep those fat, little feet dry. Keeping your feet dry is important to anyone but for toddlers it’s crucial. 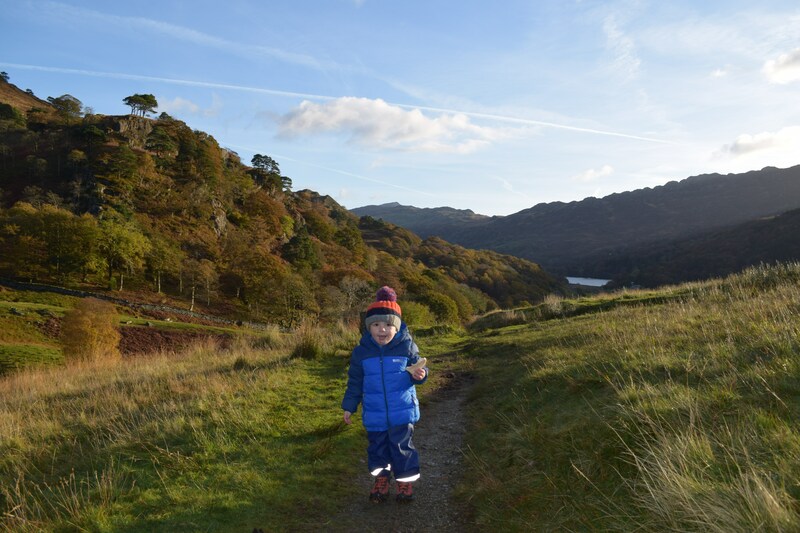 Not only do they love puddles and steams but the lack of other options available to them means that wellies are often the go-to outdoor choice. Now, don’t get me wrong, wellies are great and have their place. They’re great for muddy field fun or paddling in streams, for example. However, they provide absolutely no warmth or insulation and can be pretty ungainly to walk in at the best of times. Combine this with rocky, off-road trails; young, excited walkers and long, tiring day hikes, and suddenly you’ve got a recipe for falling over…a lot. So, not only will the Keen Pagosa keep their little feet dry, it’ll also offer them plenty of protection and stability. The over the ankle mid design certainly helps when walking on uneven or rocky paths, while the thick cushioning really envelopes their feet and ankles. As a result they’re comfortable enough to be worn all day on the trail. Jesse genuinely loves wearing these boots. In addition to the comfort and support, he knows that he can splash in puddles and mud until his heart’s content. The rugged outsole on the Keen Pagosa provides plenty of traction for little speed demons who like to run everywhere, while the rubber toe bumper stops little piggies from being squashed by errant rocks. If your toddlers are anything like mine this tow bumper will also protect their feet when they inevitably decide to gauge the consistency of something by kicking it! Finally, the bungee cord lacing system makes getting them on and off a breeze, with slightly older kids able to do this themselves. However, the nature of bungee cord means that it’s easily able to pulled tight to create a really snug fit – great for stability. By replacing the laces it also means that young walkers on uneven trails have nothing to trip over except themselves. They really have thought of everything. So, if you’re looking for a miniature version of an adult hiking boot, that’s lightweight yet supportive, give the Keen Pagosa Mid boots a try. You won’t regret it. You’re right, it’s easier now Jesse is a size 7 but there’s still lots of brands that offer other outdoor gear/clothing for kids that don’t do the small footwear sizes. Thanks for reading. 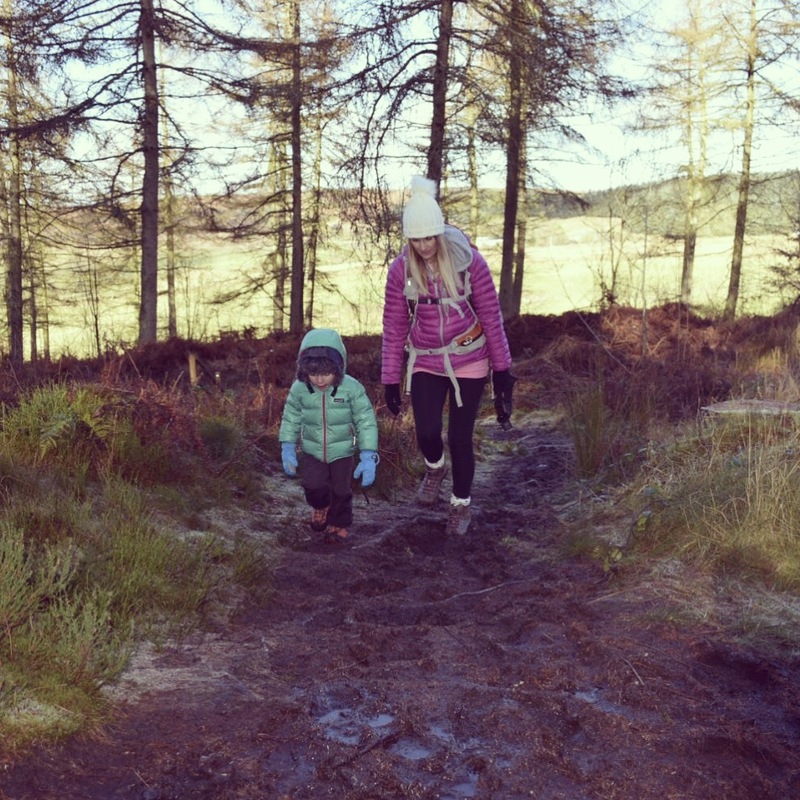 When my little ones were little (eldest now taller than me) it was impossible to find anything other than wellies for kids to go out walking in, and keep their feet dry. These look great. I know, there’s still not that many that do. Thanks for reading. Well that is a real thumbs up for these little hiking boots. I can imagine with the walking you like to do that these are far better than wellies. You do go out in the most stunning areas and look like you have some great adventures. Now you just need to hope those little feet don’t grow too quickly! Thank you for sharing withme on CountryKids. I know that’s a real issue. He’s going to cost us a fortune in footwear haha.